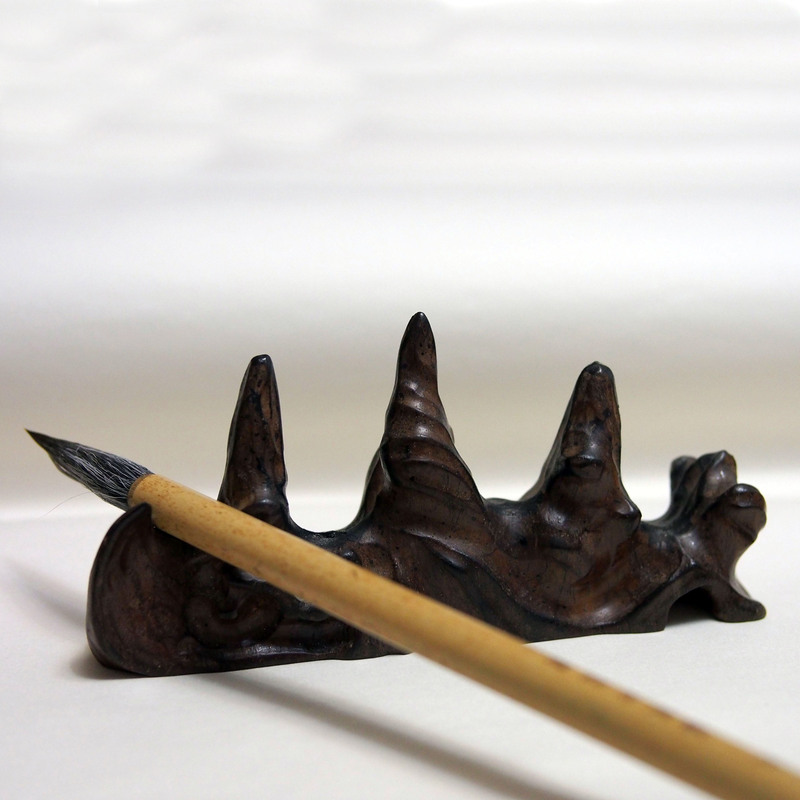 An essential stationary for the scholar, a brush rest for the temporary resting of the brush, as well as the mind. When the job is done, the brush will be hung vertically to let gravity dry up the brush evenly. There are many shapes for the brush rest but the mountain is one of the popular form, they can be made from coral, agate, crystal, jade to more common material such as wood and ceramic.